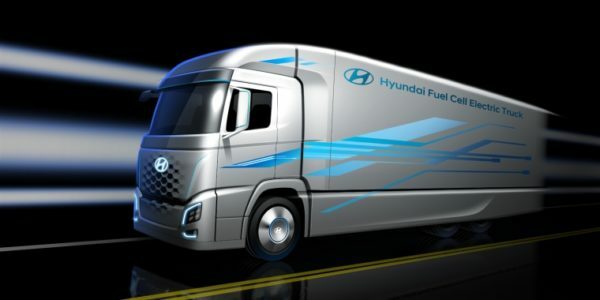 NEXO, the new fuel cell truck brings in a new milestone for Hyundai’s new venture. We commend Hyundai’s dedication to make trucks greener and the earth a better place to live. The truck follows an aerodynamic design, which is made efficient with a spoiler and side protector. The blue graphics on the truck and body graphics on the container give it some more of the eco-friendly appeal. The front grille gets hexagonal design elements, which symbolise the molecular structure of Hydrogen, the element that powers the truck. Full specifications of the truck will be revealed during the IAA Commercial Vehicles 2018. 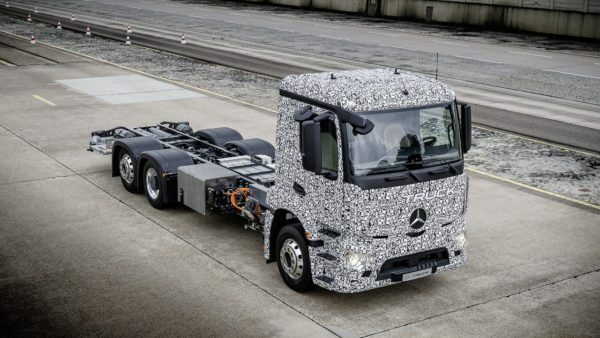 Other companies like Mercedes also are investing in electric truck technology. Well, this info may not be relevant in the Indian market space, where we still are not ready to progress from our beloved Tata Trucks from the last century, but it sure is fascinating to see such developments across the world. Trucks are a huge part of any business, they are the only way to get cargo from a nearby airport or even a nearby railway station. We talk about how fossil fuels will soon disappear and we will have to move to alternative fuels for personal transportation, we casually miss out on how our trucks would survive. No fossil fuels to power our old trucks would bring the country to a complete halt. Thanks to companies like Hyundai, who are bringing constant new developments in this field, we can rest assured that the future of trucks is safe and green too.